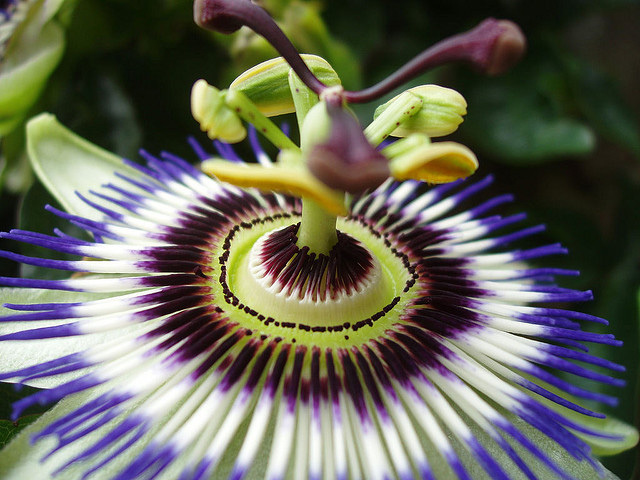 Passion flower; photo by Paula Bailey on Flickr (noncommercial use permitted with attribution / share alike). 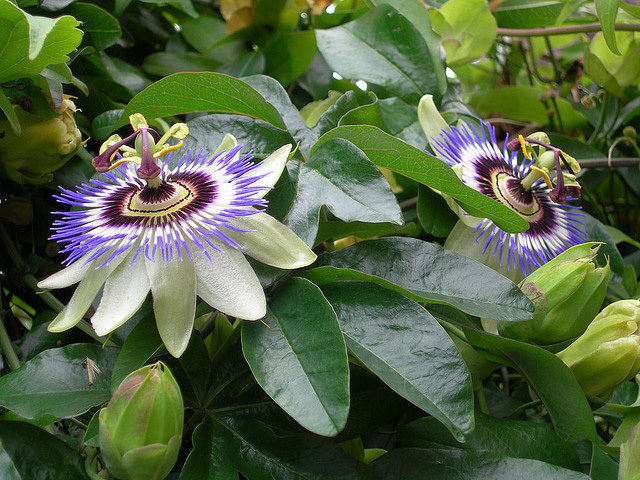 Also known as the maypop, wild apricot, and the ocoee, passion flowers (genus Passiflora) grow wild in the southern United States and South America. Ocoee is the Indian name for the passion flower (also used in the name of the Ocoee River and Valley in Tennessee and the city of Ocoee in Florida). Native Americans considered ocoee the most beautiful of flowers. Wild passion flowers in Tennessee; photo by Mo Elnadi on Flickr (noncommercial use permitted with attribution).